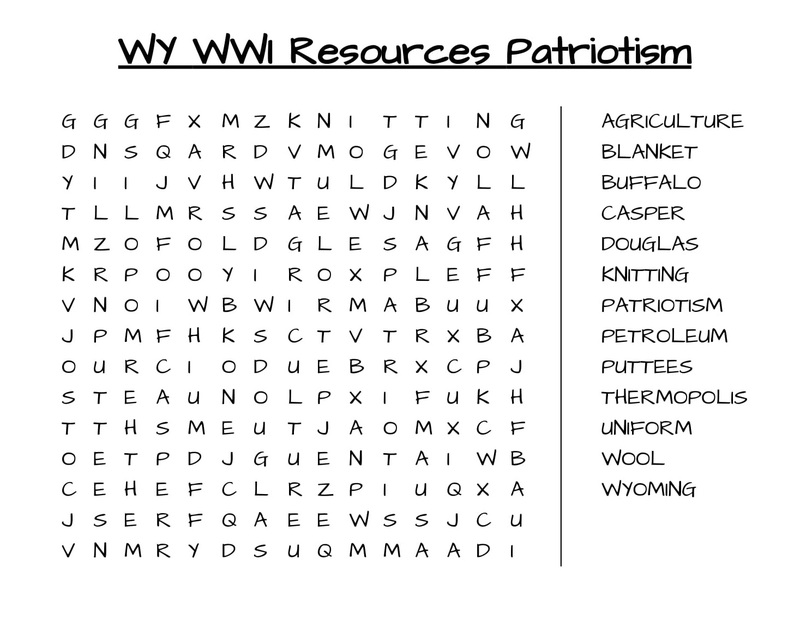 Wyoming was a predominantly rural state before the Great War, better known now as World War I. Wyoming had been a state for only 25 years in 1915 and could still be considered “the frontier.” In 1910, the state’s population was 145,965; with a mere seven towns considered to be urban and only a single city—Cheyenne—with a population of more than 25,000. More than 70 percent of Wyoming’s population was counted as rural. The predominant industry was agriculture, primarily cattle and sheep. By 1908, Wyoming led the nation in wool production with more than 6 million sheep valued at $32 million—or $757 million in 2016 dollars. The value of cattle in Wyoming in 1910 was estimated at $26.2 million, according to a 1913 supplement to the 1910 U.S. Census. In 1920, Wyoming had about 875,000 cattle or calves and nearly 200,000 horses and colts—more horses than people! The petroleum industry was on the verge of becoming significant, with major oil fields coming into production. The Salt Creek Oil Field started producing in 1908. By 1917, there were five operating petroleum refineries in Wyoming. Natrona County was the center of the burgeoning petroleum industry, and World War I demands for fuel would shortly lead to an economic boom for Casper. Highways in 1914 in Wyoming were few and poor. But automobile ownership was growing quickly and with it, the demand for better roads. The Wyoming Department of Transportation was established in 1917. Even though the state was young and sparsely populated, Wyoming was at the forefront of the nation in many ways: particularly in areas such as women’s suffrage and patriotism—as measured by the proportion of the population that joined the armed services. During the Great War, later known as World War I, Wyoming contributed more soldiers per capita than any other state in the United States. This was a remarkable accomplishment. Suitable for Kindergarten through 3rd grade. Supplies: Cotton balls, masking tape, scrap paper, black straws (or black-painted straws), construction paper, googly eyes, pen, glue, scissors. Step 1: Scrunch up a ball of scrap paper to create your sheep’s body. Step 2: Use a pen to poke four holes in the bottom on the sheep’s body to insert the straw legs. You will need to trim the straws to an appropriate leg length. Step 3: Once the legs are attached, use glue to cover the entire body with cotton balls. Step 4: Use the scissors to cut out the shape of a sheep’s face from black construction paper. Glue the googly eyes onto the face and glue the face onto the front of the sheep’s body. You’ve made a sheep! Suitable for 4th through 12th grades. Looking at all of the items in the doughboy footlocker trunk, which ones are made of wool? (blanket, uniform, garrison hat, overseas cap, puttees, shirts, underwear, socks). Is wearing wool comfortable? Would you like to wear that wool uniform? How do you think it would feel to wear that in the summer? With woolen clothes like these being manufactured in a hurry for the 4.7 million American men and women mobilized to serve, what do you think happened to the price of wool during the Great War? (Hint: What do we mean by supply and demand?) How do you think that affected Wyoming sheep ranchers? What do you think happened to the price of wool after the war ended? Suitable for 6th through 12th grade. It is easy to imagine that 100 years ago every community in Wyoming was vastly different than it is today. Some communities and bustling towns of 100 years ago no longer exist. For this assignment, students could work alone or in groups to research a current Wyoming town or a “ghost town” of the World War I era that no longer exists today. What was the town’s main industry? Has that changed? How many people lived there? How has that changed? Some cities and towns mentioned in the exhibits at the Wyoming Veterans' Memorial Museum include: Douglas, Buffalo, Sheridan, Lusk, Casper, Thermopolis, Wind River Indian Reservation, and Medicine Bow. 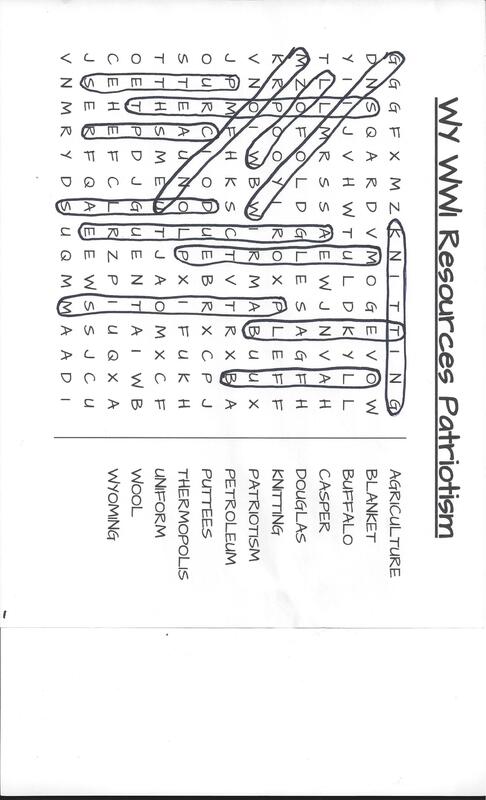 As a place to start, see what you can find about these or other towns, using the search box at the upper left-hand corner of the home page at www.wyohistory.org. The Joseph Stimson photo of the sheep crossing the bridge is from Wyoming State Archives. Used with permission and thanks. The photo of the parade is from the collections of the Fort Caspar Museum. Used with permission and thanks.